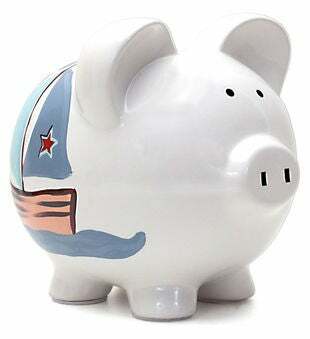 Sail into savings with the Personalized Nautical Piggy Bank. A little sailor will love this relaxing design! Perfect for a nursery, baby shower, birthday and every occasion in between.